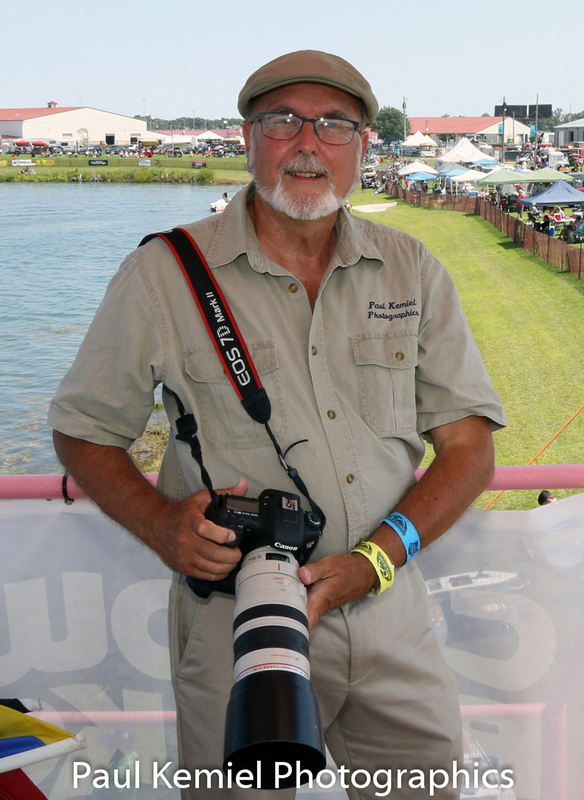 Paul Kemiel enters his 38th year of a dynamic career capturing the action of powerboat racing. The Michigan City, Indiana native attended his first Unlimited Hydroplane and Offshore Powerboat race in Detroit: the 1981event gave the green flag to his publishing career as he sold those images to LakeLand Boating Magazine. During those early days, “as an aspiring photographer, I met Ron Thibedeau,” Paul told me. 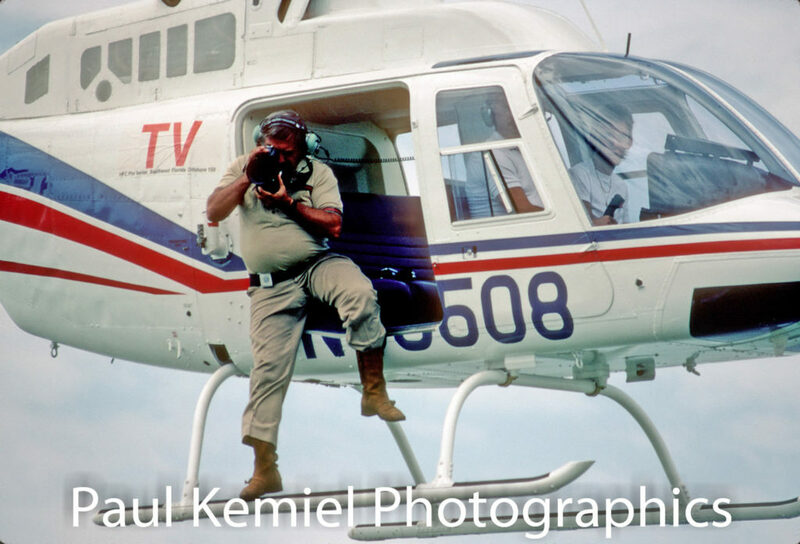 For those who weren’t around during what’s been hailed as offshore’s glory days, Thibedeau’s iconic presence at race venues was simply a stand out: dressed in signature safari-tan shirt, pants and brown cowboy boots while hanging out of a helicopter, standing on a skid attached only by a single safety belt as he photographed the action below with his Hasselblad camera. After covering a mega list of racing events over the last few decades, I had to ask: what is your most memorable photo assignment? He responded with a multi-tiered answer. 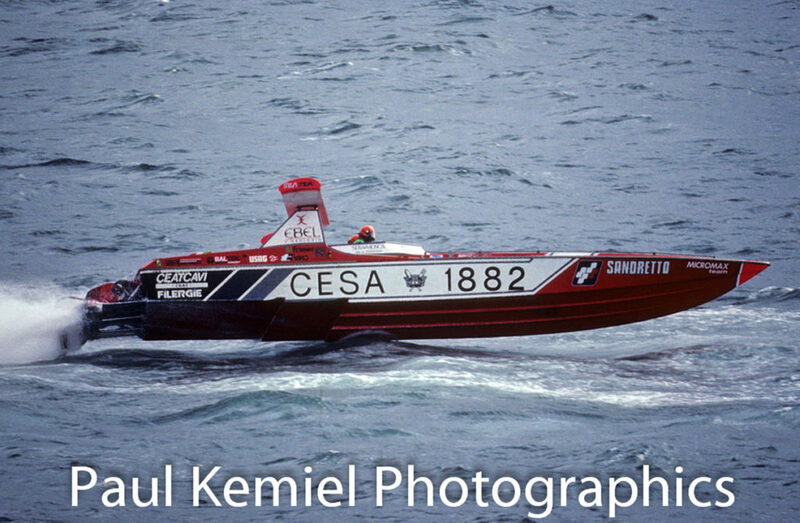 “The 1988 UIM Offshore World Championships held at Guernsey, England. His photographs have been published throughout the USA, as well as worldwide exposure throughout fifteen foreign countries. 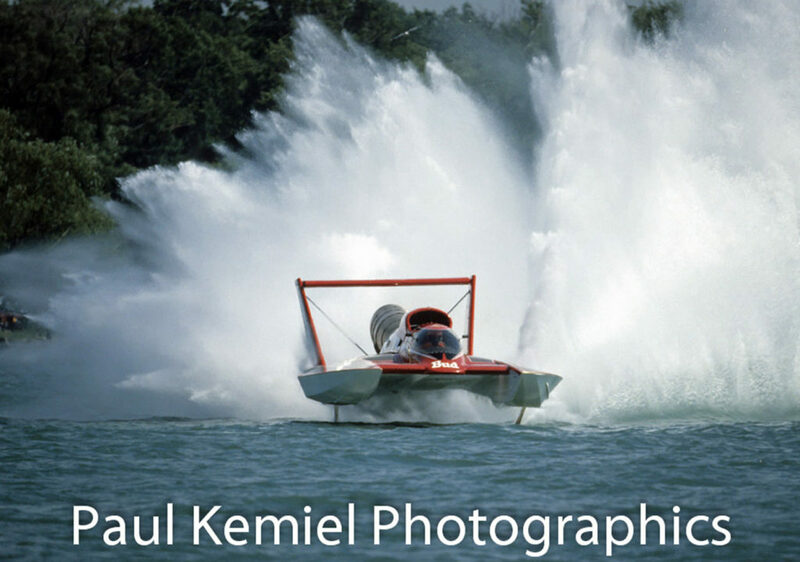 As a regular contributor to the APBA Propeller Magazine since 1988, Kemiel’s photographs have appeared in the pages of Powerboat, Performance Boats, Hot Boat, Soundings, Speed Boat and Race Boat International, as well as the Mercury Racing calendar. His digital images are featured in Speed On The Water and the Sweden-based Offshoreracing.SE.